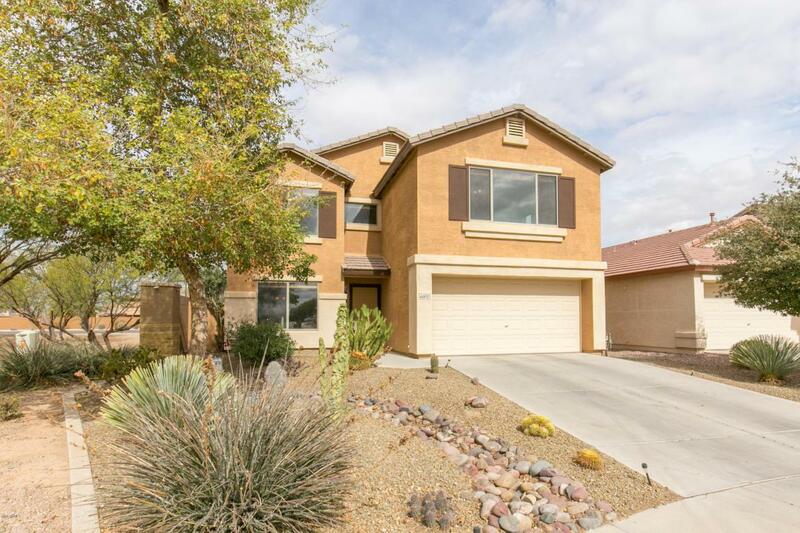 Fantastic family home nestled in corner lot for sale in lush Maricopa Community! 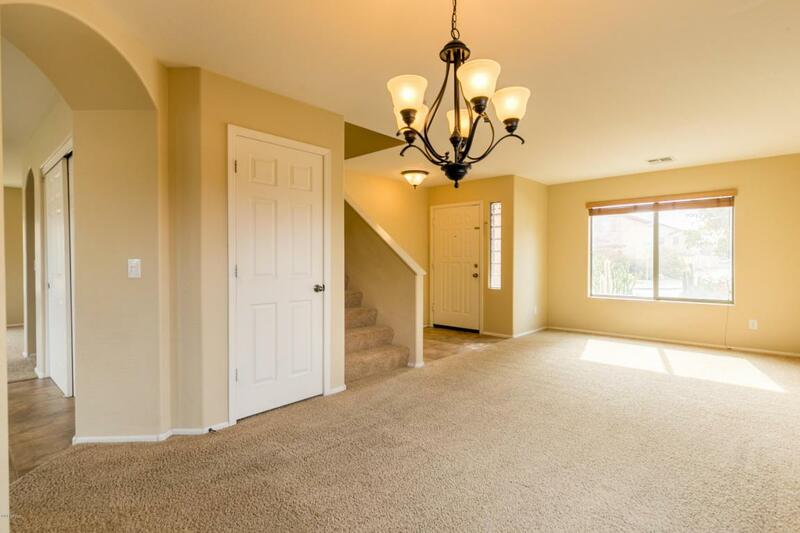 Enter into the homes tiled entryway with great room, living room, kitchen and dining on the first floor. 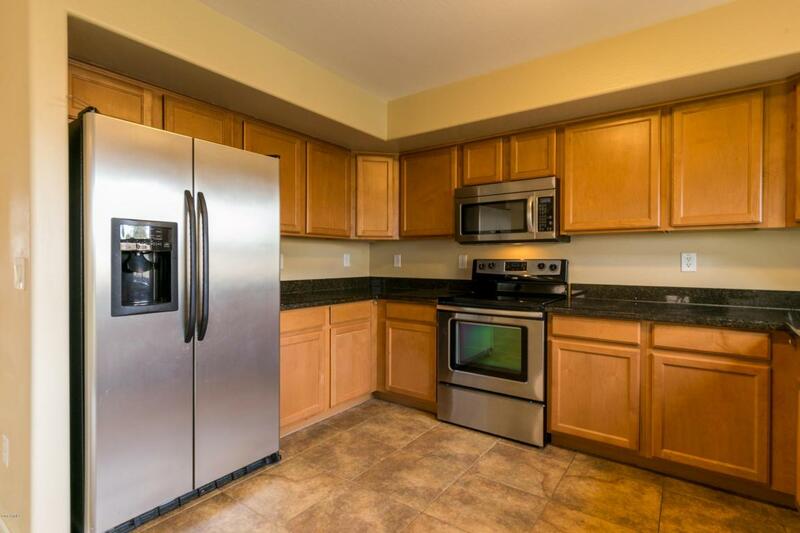 Kitchen fit with tons of cabinet space, SS Appliances, large pantry! Upstairs has loft area, perfect for play room or office! Generous master has walk in closet & bathroom en suite. 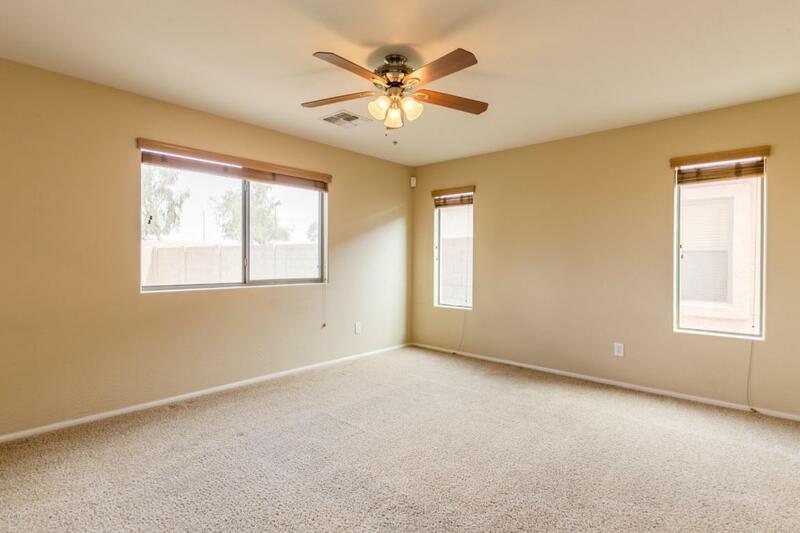 Homes additional features include; ceiling fans throughout, window coverings that convey & prewired for security system! Home is next to green belt making it great for kids & privacy alike! Backyard has salt water pool with removable fence & shade, low maintenance turf & covered patio. Community is just a few minutes from the 347, great dining, Ak-Chin Casino and Golf club, Quartz Peak Trail and more!